Part of running and maintaining a successful business, as complex as it may be, is keeping an accurate and comprehensive record of your financial information. No matter if you’re a small start-up company in its early stages, a business experiencing exponential growth, or a large and established corporation, having detailed and organized financial records is key to running efficiently and staying above your competition. This is a lot to ask for of a single person already focused on every other aspect of the business. Even if you have a small accounting team, as your business grows it’s likely that they’ll have a hard time keeping tabs on the financial side of the operations. That’s where we come in. 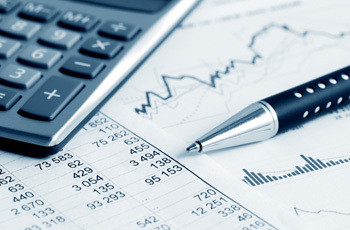 At Peakview CPAs in Northern Colorado, our devoted staff will take the reins of your bookkeeping necessities. While most people shy away from the complexities of taxes and financial accounting, we dedicate ourselves to it (weird, we know). Our team of CPAs are extremely proficient in modern accounting software and know the ins and outs of managing financial data for you or your business. Not only will we be able to keep a precise record for you, but we’ll work with you to understand where you’d like to be in the future, and give you a strategic plan on how your goals may be achieved. So stop furrowing your brow in frustration trying to be your own bookkeeper, and let the professionals take over. We also provide payroll and tax services, as well as business consulting, so contact us today! ©2018 Peakview CPAs® - Do not copy. All rights reserved.